Fig. 4. 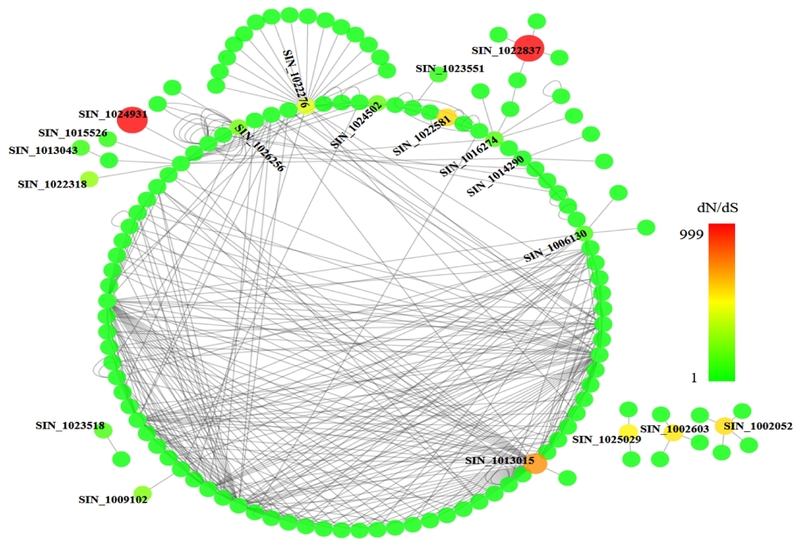 Cytoscape protein-protein interaction network of the positively selected genes using Arabidopsis thaliana as reference (data from BioGRID). The color from green to red indicating the dN/dS value ranging from low to high. Total 19 positively selected genes that with dN/dS value more than 1 were marked and displayed in .